Today, with the help of my niece Katie, I completed my seventh random act, in honor of Dylan Hockley. 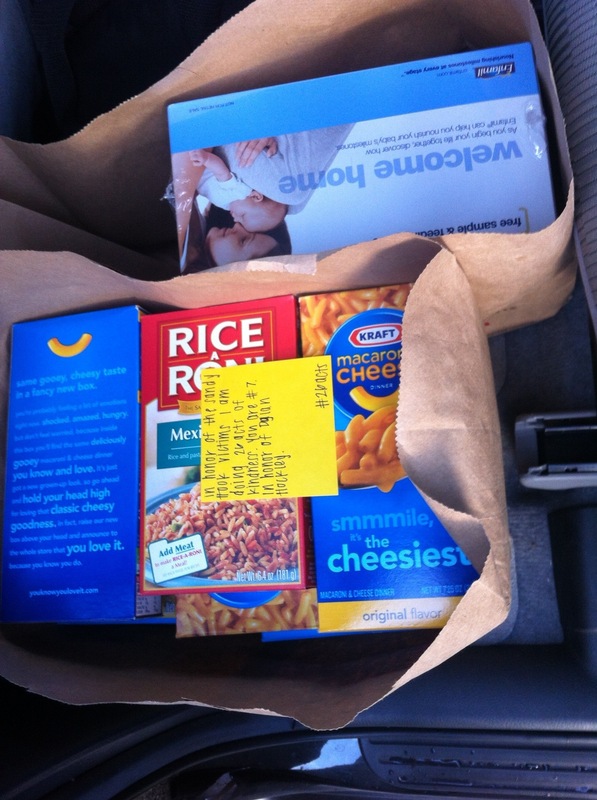 I had bought a bunch of food to donate to the food bank, but they’re only open between 8am and 2pm during the week. So instead, I donated it at church tonight. This was in honor of Dylan Hockley, an autistic six year old who loved trampolines, spaghetti, and the color purple.